Constance K. Nelson has extensive experience representing individuals and businesses in litigation matters. She has tried numerous cases in the areas of white-collar crime and personal injury, with specific experience in toxic torts and product liability matters. Constance is comfortable in a courtroom, having served as Chief Prosecutor of White Collar Crime in Northampton County for thirteen years prior to joining Gross McGinley. Constance also counsels families facing legal matters outside of the courtroom including divorce and alimony negotiations, child custody and guardianship matters, grandparent rights, and prenuptial agreements. She assists families in estate matters as well, ensuring the wishes of individuals are carried out through wills, powers of attorney, and advanced medical directives. Constance provides guidance in real estate matters, assisting individuals with property settlement agreements and handling landlord-tenant agreements and disputes. As a former educator, Constance serves as a legal guide for her clients in order that they make educated decisions about their case from start to finish. 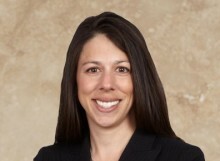 She has excelled at applying her acquired skills to her litigation practice. Served as local counsel to Dalmatia Import Group, Inc. in Dalmatia Import Group, Inc. v. FoodMatch Inc. et al., successfully securing a landmark jury verdict which should result in a judgment of $5.2 million as well as attorneys' fees and a permanent injunction. It is also the first verdict to be decided under the Defend Trade Secrets Act (2016).